Tracam now offers an on track Thermal 640 x 520 Pan Tilt solution. The Tracam Thermal solution can be fitted with a 324 x 256 or 640 x 512 MicroBolometer Thermal sensor. The high resolution and highly sensitive thermal engine (<50 mK at f/1.0), can also be configured with an optional Daylight camera and /or laser point if required. 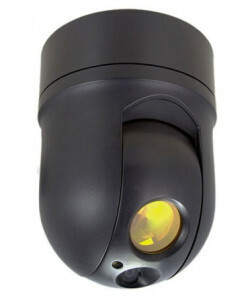 The SPI supplied camera has been proven to be robust and is enclosed in a fully weatherised housing. The thermal Tracam solution offer unique advantages in application such as power distribution, industrial and perimeter security. The Tracam Thermal solution is offered on both the TL6 and EziTRAC platforms. If you require more information please contact us at info@tracam.com.au.